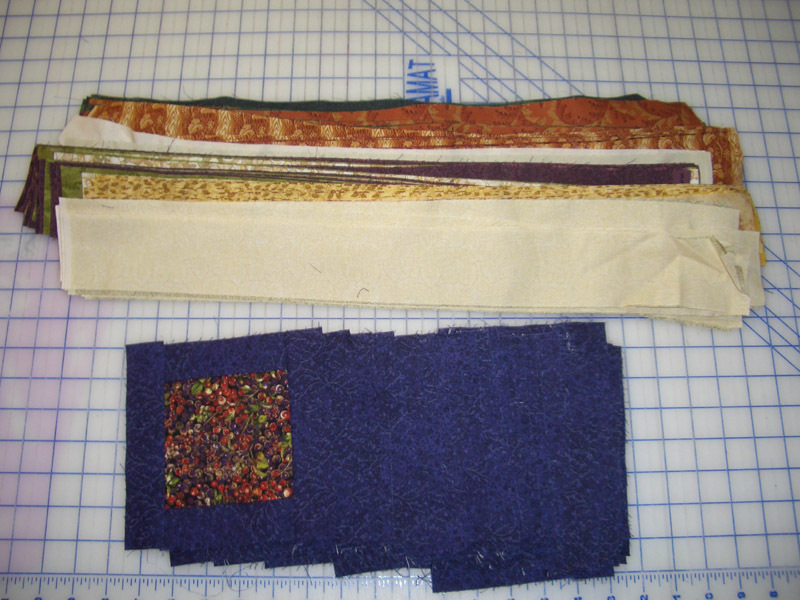 This week finds me working on the Wine Country Quilt that is my UFO for April. I have only completed the first step so have a ways to go. Will have to get busy this week to meet the April 30 deadline. Wish me luck! 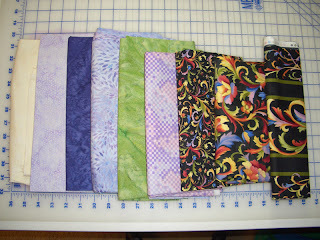 I have also joined the Quiltmaker Mystery Quilt that started in the most recent issue of Quiltmaker Magazine. My friend Sandi (aka Kwiltnkats) is the online hostess for this project. 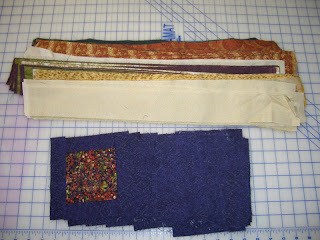 Check it out at Quilters Club of America and see if it is something you might want to tackle! You may have to join-but it is free. 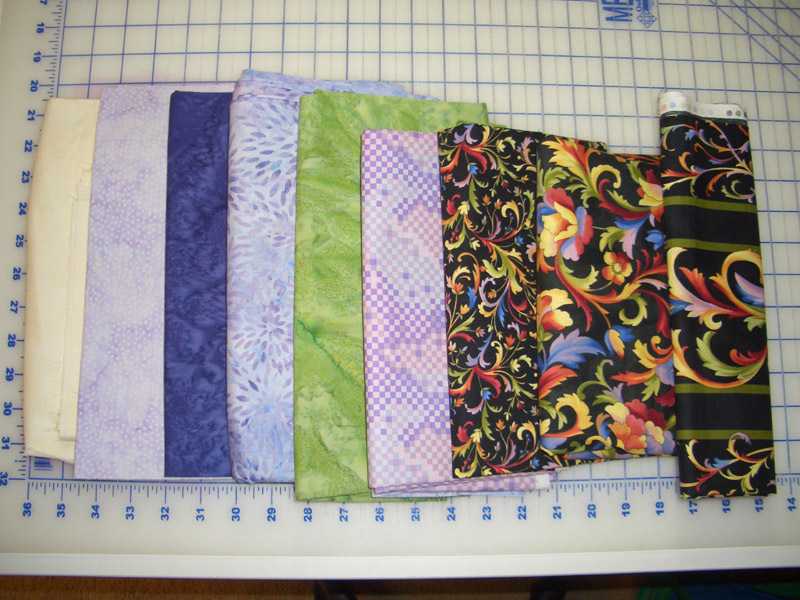 Check out my fabric choices below- all but one, were from my stash. What is on your design wall this week? Check out all the other great Design Walls at Patchwork Times. Good luck with your April quilt! !